Security experts have predicted more violence in Brazil’s gang-controlled prison system. 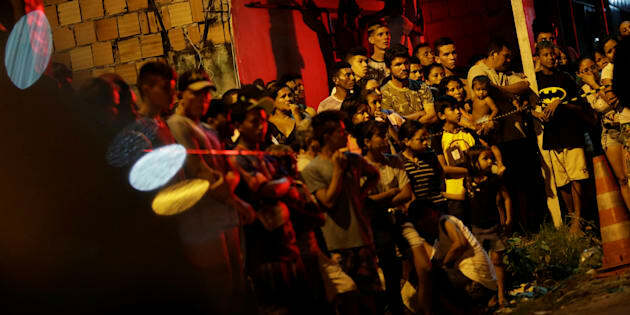 At last 33 inmates have been killed in a new prison riot in the Amazon region of Brazil, officials said on Friday, just five days after 56 inmates were slaughtered in the country’s worst prison massacre in more than two decades. Few details were available about the latest uprising early on Friday in Roraima state’s largest penitentiary, where a fight between rival drug gangs ended with 10 dead last October. Security experts have predicted more violence in Brazil’s gang-controlled prison system in the wake of the massacre earlier this week in which members of one drug gang butchered inmates from a rival group. The top security official in the state of Roraima, Uziel de Castro, blamed Friday’s violence on the Sao Paulo-based First Capital Command (PCC) drug gang, according to a report on the website of the Estado de S.Paulo newspaper. Earlier this week, it was primarily members of the PCC who were among the 56 dead at a prison in nearby Amazonas state, killed by the North Family drug faction, believed to dominate the traffic of cocaine from Colombia and Peru in that region. The North Family is allied with the Rio de Janeiro-based Red Command drug gang, Brazil’s second most powerful faction after the PCC.